Just like we did last year my family spent this past weekend camping at North Lake State Park, up in New York’s gorgeous Catskill Mountains. And, not surprisingly, the breeding birds present were largely the same species as last year which was not a problem at all! 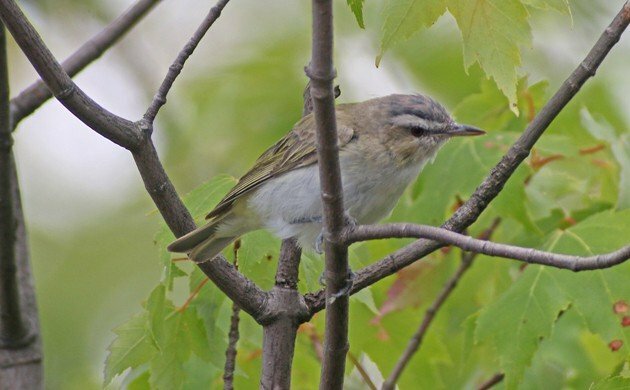 After all, having fledgling Blackburnian Warblers, Red-eyed Vireos (like the one above), Chipping Sparrows, and Black-throated Green Warblers in the trees around the tent was awesome! We swam, hiked, ate, played frisbee, and had a general good time. How could we not? Being in the Catskill Mountains in August is as close to an ideal way to spend a weekend as I can think of. Well, one thing was less than ideal. 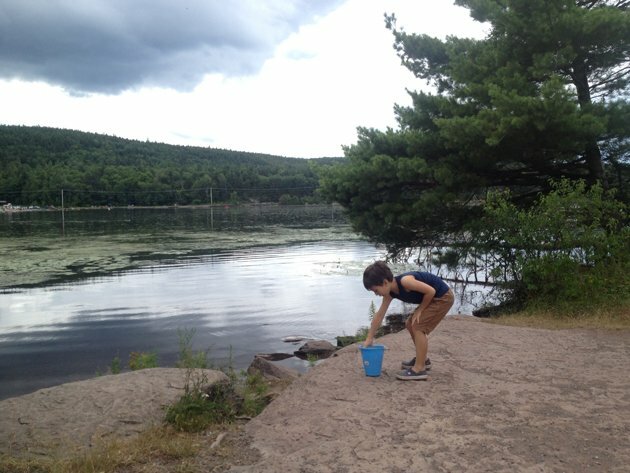 There were very few rocks along the lake shore where our campsite was so Desi had to walk about thirty feet to fill up his bucket with rocks to throw in the lake. The horror! Somehow, Desi managed to survive his horrible bucket-carrying ordeal. But this blog is about neither carrying buckets nor throwing rocks. It’s about birds! And birds there were, plenty of birds! Common Ravens “kworked” from the trees, a Hermit Thrush sang from across the lake early Sunday morning, and Barred Owls woke us with a wonderful duet on Saturday night. 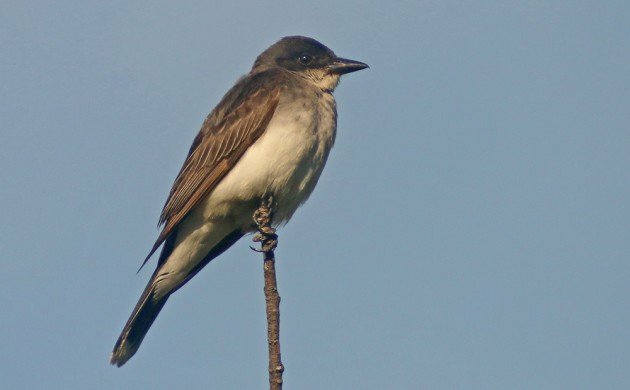 New to me at North Lake State Park was a family of Eastern Kingbirds that were a joy to watch, what with their aggression, constant chittering, and aerial acrobatics. Eastern Kingbirds are always a pleasure. But the highlight of birding while camping, just like last year, was the fledgling Blackburnian Warblers. Because what’s not to like about adorable young wood-warblers? 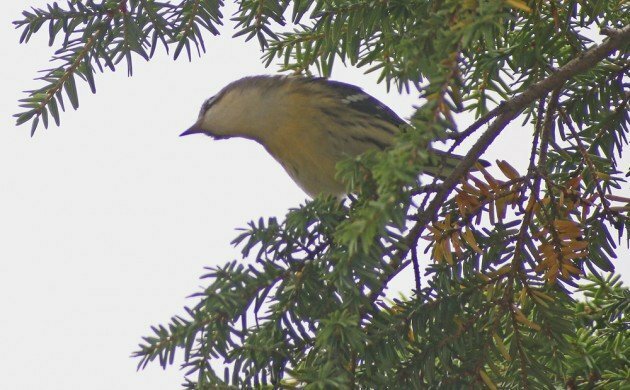 Young Blackburnian Warbler looking for food in a hemlock. A close second in terms of highlights was when Desi paused in his rock-throwing and informed me that a grackle was perched up in a tree. Not because of the species but because he knew the species! That’s my boy! 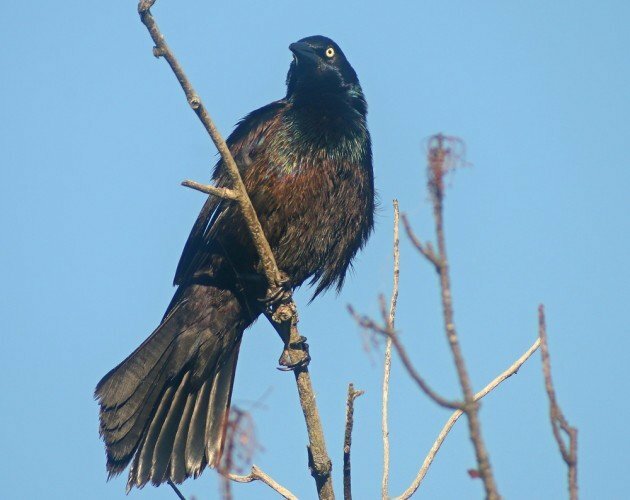 Common Grackle, properly identified by Desi. It was a great experience for a second year in a row and we can’t wait to get back next year! Where Are You Birding This Third Weekend of November 2016?